Brand: why perception is everything when growing your business. Often, when networking with other business owners, the core brand message I deliver is that ‘perception is everything’. It’s such a succinct message that it features on The Brand Experts business card (the tagline) because it’s a simple belief and a simple message that encapsulates and embodies a fundamental part of ‘brand’ and The Brand Experts offering: it links our brand purpose, the brand vision and the brand promise. If you agree with that belief and it resonates with you, then great – we’re aligned and we can continue the conversation; if not, then maybe we’re not aligned? Not just yet anyway… Read on. As much as those three words ring true, it’s important to remember that perception itself is not ‘real life’ – it’s not how life actually ‘is’ or how things really ‘are’. I’d quote Elon Musk here when he wisely stated ‘Perception will match reality over time’ – and this is a guy who’s gone on record as saying he ‘hates brands’ (a comment made perhaps more out of frustration over the Tesla brands’ restricted ability or limitation when looking to open up new ‘truck’ markets – but that’s another blog for another time). Do not be mislead though: on a slightly cynical note, perception can also be an illusion wrapped up, crafted, shaped or moulded into what others perceive you to ‘be’ or how others believe you ‘are’ – a false identity or personality. Be careful. Perception is a powerful tool but it can also be a false reality and it can be unforgiving. Perception or ‘brand’ can be a strong strategic business tool: a mindset used to influence or persuade specific people (your ideal customers) to believe specific things about you or your business. The goal? To compel people to take positive action that benefits both the customer and your business – usually in that order. In turn, those beliefs or perception can then determine or drive consumer actions, habits and behaviours as part of a wider collective or culture that defines a common, shared identity. Ideally that perception involves positive intentions, traits or attributes (your business or reputation won’t last too long if it doesn’t) which leads to more positive feedback from customers and referrals as part of a larger positive feedback loop – the result being overall business growth. As always though, with great power comes responsibility! Let’s quickly unpack that famous quote with perception in mind. It refers to an initial perception – i.e. the strength you are perceived to have (a false belief) – according to another set of people with different thoughts and beliefs (your perceived enemy) – rather than what actually ’is real’, that’s to say, ‘the strength you really have’. How you are perceived usually affects how other people treat and relate to you – whether they attack you or whether they welcome you with open arms. What’s the takeaway? What you or your customers believe about you, and as per the example above, what your competitors or detractors believe about you, is crucial to your outward perception and probability of success/victory/growth/sales etc.. Brand is therefore all in the mind (or subconscious). Your brand is a reflection of your thinking, your character, your values, your business, culture, customer service – everything associated with your business – all the symbols. If you want serious business growth its wise to explore and define these core principles and develop a strategy that addresses and implements them throughout your business – whether that’s from top to bottom or from bottom to top. Still don’t believe or agree with me yet? Just ask the guy at the bottom of the pile about brand, values, culture, motivation and achieving big goals: the janitor. How you are perceived and how you want to be perceived are the golden brand questions you need to ask yourself. The gap that exists between the two is your current perception and the steps you need to take to change that perception in the minds of your customer forms your brand strategy for business growth. I hope you learned something new, insightful or useful from this blog. 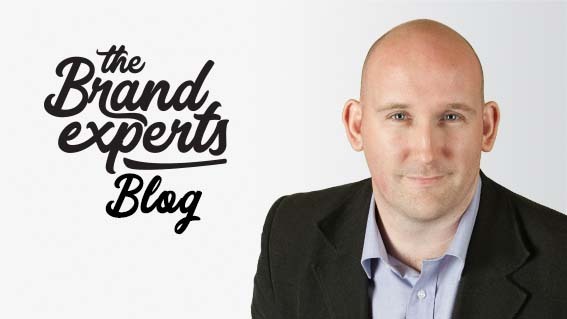 At The Brand Experts, we believe in helping businesses build a ‘brand blueprint’ for business growth. We achieve this through a series of workshops designed to help businesses realise and communicate their ‘Why?’ to resonate with ideal customers and make a difference in the world. Successful brands in the future care about customers, not branding. I believe that future is now. I’m passionate about creating brand stories & design assets that help brands get ‘in sync’ and connected to customers they care about. Brand is Sales but not as you know it. Why being ‘the best’ isn’t in your brands best interests – and what is. Brand: harnessing your power of purpose. Brand: Why your brand is not for everyone (and why it shouldn’t be).